CNA - Small Commercial | Special Feature | RLI - Architects & Engineers | Webinars | Parting Shot | TRIVIA! In 1911 Jean de La Hire released Le Mystère des XV, a book which may have the distinction of being the first to depict a human colonization of Mars, as well as the return of the character Leo Saint-Clair (The Nyctalope)--a superhero precursor as well as the first cyborg. Since then the idea of colonizing Mars has filled books, movies, TV shows and dreams of little kids and big kids alike. And who can forget Marvin the Martian and his Earth-destroying Illudium Q-36 Explosive Space Modulator? 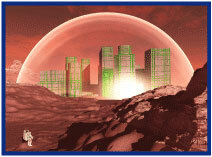 The reality of a Martian colony may yet come to pass. Architects Marek Podlaha and Antónia Pohanková have designed a prefabricated spaceship that will convert to a large living space after landing, without the need for large equipment on-site. You may have heard about Mars One, an organization working towards providing a one-way trip to Mars in 2031. I wonder how the thinner atmosphere and lower gravity on Mars will affect the design of buildings that may exist there one day. 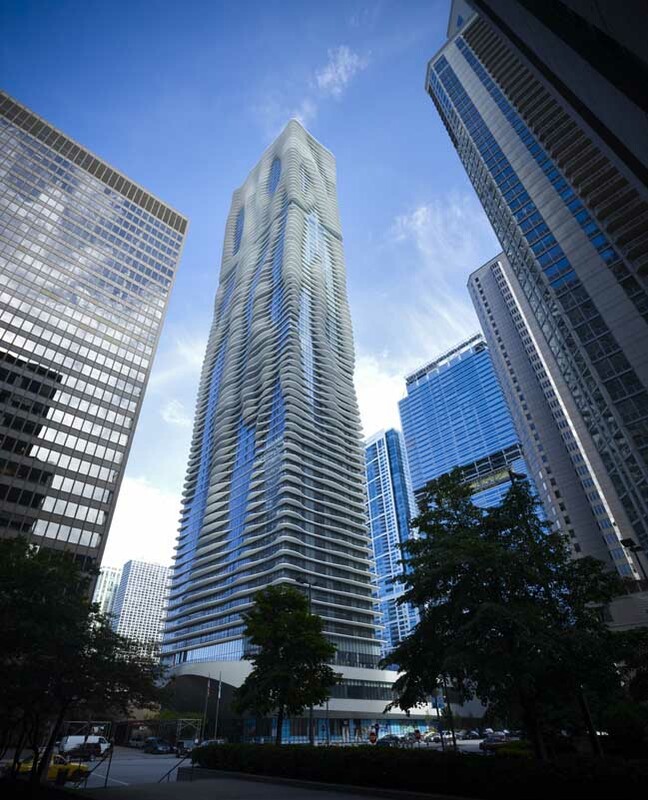 Some of the buildings on earth and here in the U.S. also look like they could have been designed by aliens, such as the beautiful and flowing Aqua Tower in Chicago. While we don't have any Martian markets for you (yet) we can help you cover the architects that envision and design buildings, the engineers that make them happen, and the surveyors who measure out the land. As a BIM agent you have access to the CNA Connect® Architects, Engineers and Surveyors Choice Endorsement which allows you to easily customize its Business Owners insurance to your clients' business needs by combining the most common options under one endorsement. Business personal property (BPP) - Expanded definition to include surveyor equipment, defined as instruments, images and electronic media and data. Valuable papers and records - Expanded definition to include designs and plans, architectural drawings and videotapes. Fine arts - Expanded definition to include architectural models, replicas, or sculptures and artistic renderings. CNA Small Business currently offers a market for a broad variety of businesses, representing Healthcare, Financial Institutions, Professional Services, Business Services, Technology, Retail, Real Estate, Wholesalers and Manufacturing. Coverage are BOP, Workers Compensation, Commercial Automobile, and Umbrella and Miscellaneous Professional Liability. For more information, log into www.bigimarkets.com and click on Small Commercial Standard Markets or contact Big "I" Markets commercial underwriter Tom Spires at tom.spires@iiaba.net or (800) 221-7917 x5470. This market is available in all states except AK, FL, HI & LA. It is also not available on Mars. Revised cancellation refund rules for the surcharge implemented with the Homeowner Flood Insurance Affordability Act of 2014. Reduced federal policy fee for tenants' contents-only policies. Check the bulletin on the NFIP website to see more details on the program changes. For more flood information or to learn how to start doing business with the Big "I" Flood program, visit www.independentagent.com/Flood. When it comes to covering the architects in your community, where do you turn? Did you know that you have access to comprehensive professional liability coverage for architects, engineers and surveyors? CBIC Design Professionals Insurance, an RLI Company, provides comprehensive professional liability coverage for architects, engineers, and surveyors. CBIC has deep knowledge in the professional services and construction industries, which means when you work with a CBIC underwriter, risk manager or claim manager, you're speaking with a longtime veteran who has both the expertise to understand a firm's needs and the decision-making authority to get the job done. Consent to settlement provision - 50/50 co-share between "Insured" and "Insurer"
Learn more by logging into Big "I" Markets and clicking on Architects & Engineers Professional Liability by CBIC an RLI Company from the commercial products menu. 1. What Bavarian castle was partially modeled after Lohengrin, an opera by Richard Wagner? 2. It was a popular belief in the late 19th and early 20th centuries that Mars had intelligent life. What Martian "feature" was erroneously discovered in 1877 that led to this belief? 3. On this day in 1845 a school opened in Annapolis, MD. By what name is it known today? TB - Although your grandmother may have baked her cookies with it, last week the FDA said it may not be listed as an ingredient. What is the ingredient? Congratulations to our agent in Alabama on a Bond - Performance sale of $19,271 in premium!